This past weekend, the Walker Art Center hosted a true event in the world of jazz: the world premiere of Brad Mehldau’s Highway Rider. With Mehldau’s latest work, there is much to say—and much is said. No jazz pianist 40 and under has garnered so much attention. Witness the early comparisons to Bill Evans and Keith Jarrett, the sometimes hyperbolic praise of Mehldau’s concerts and recordings, and the commentators who complain Mehldau is overly cerebral or too indulgent. I myself cannot say I’ve escaped Mehldau—nor would I want to. With the exception of Theodore Walter Rollins, Mehldau is the musician to whom I most often listen. I suspect one reason is the wide range of moods he creates. These emotional responses might stem from the incessant swing on “Rejoice” (see Joshua Redman’s Moodswing), the tour de force of “All the Things You Are” (Art of the Trio, Volume 4), the playfulness injected into “Monk’s Dream” from Live in Tokyo (listen for the “Linus and Lucy” quote), the “Tumbleweed” funk found on Michael Brecker’s Pilgrimage, or the romantic balladry displayed on “The Very Thought of You” from his last trio record. But it’s Mehldau’s eclectic choices of songs that have drawn fans who might not know the difference between Lennie Tristano and Liberace. During his last visit to the Dakota, Mehldau’s set lists included bebop numbers such as Bird’s “Cheryl” and Newk’s “Airegin,” an original based on the chord changes to Denzil Best’s “Move,” and interpretations of songs by singer-songwriters not usually tackled by jazz musicians (Nick Drake, Paul Simon, Elvis Costello). A set that opened with Alice in Chains concluded with a finale that saw Radiohead morph into Traffic. With his newest album and world tour, Mehldau the composer is the star. The first word that pops to mind to describe Highway Rider is “ambitious.” Clocking in at nearly two hours, this two-part suite is comprised of fifteen movements played by a two drummer quintet augmented by an orchestra. Mehldau’s movements draw from some of the sources mentioned above, and in the detailed liner notes to the CD he cites Beethoven, Richard Strauss, and Brahms as inspiration. Listeners will certainly hear other sources absorbed by Mehldau, perhaps ranging from Aaron Copland to even Ornette Coleman’s Skies of America. Additionally, a fair amount of credit for the sonic palate created should go to producer Jon Brion. I’m the rare cat who loves Mehldau and wasn’t sold on the Brion-produced Largo, but I probably should revisit that album. One hopes the Mehldau-Brion partnership might someday rival that of Miles Davis and Gil Evans. 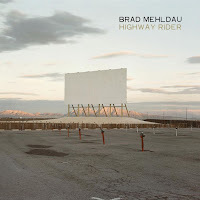 The Highway Rider world premiere in the McGuire Theater included the quintet that recorded the studio album: Joshua Redman on tenor and soprano saxophones, Larry Grenadier on bass, and Jeff Ballard and Matt Chamberlain on drums and percussion. More than ably joining the quintet after a mere one day of rehearsal was the Saint Paul Chamber Orchestra, conducted by Scott Yoo. I was fortunate enough to attend both sold-out performances—watching from different vantage points—and was determined to spot departures from the album version and pick up nuances that I hadn’t caught on the CD. What became immediately evident was why Mehldau chose these particular musicians. Aside from telepathic communication with his current working trio, the parts were written with the individual musicians in mind. As Duke Ellington didn’t write alto saxophone parts but instead wrote for Johnny Hodges, I already cannot hear any other saxophonists but Joshua Redman playing on Highway Rider. His tone is perfect for “Don’t Be Sad.” Likewise, Jeff Ballard’s drum style fits the frantic “Into the City” and Chamberlain adds the monster-rock vibe, and Larry Grenadier has some of the biggest ears in the business and fills in what needs to be filled. And besides impeccable musicianship, the group was clearly enjoying being on stage together. This concert marked the first time I’ve seen two drummers give each other high fives at the conclusion of a solo. For me, the highlights of the first set were “The Falcon Will Fly Again” and “Walking the Peak.” “The Falcon Will Fly Again,” a catchy, happy, stripped-down tune in 7/8 that stood juxtaposed against much more elaborate movements, featured solos by Mehldau and Redman accompanied only by Jeff Ballard on a hand drum and Matt Chamberlain playing driftwood on a floor tom. Mehldau absolutely flew to the forefront as the two percussionists grinned and nodded in pleasure while huddled next to the piano. In contrast, “Walking the Peak” was my favorite demonstration of the orchestra’s effectiveness and what it added to the quintet. After the strings were featured in “Now You Must Climb Alone,” a movement modeled after Strauss’ Metamorphosen score for 23 strings, the two drummers entered in unison, playing what might be described as a martial beat or slow dirge. Next, Mehldau entered, and finally Joshua Redman’s tenor took over. The movement possessed a linear quality that is surely intentional. It's worth noting that prior to recording in the studio, Mehldau refused to give Redman the score. Mehldau wanted Redman reacting to the orchestra as he heard it for the first time. Observing the musicians firsthand, it was even more clear that, despite the bountiful pages of sheet music, we were observing improvised music. The post-intermission portion of the program included the second disc in its entirety, minus “Come with Me.” I have no idea why this piece was omitted—my only theory is better balance between the two sets, as the second set was already significantly longer in duration. But I cannot say the exclusion of that movement affected the unity or progression of the piece or my enjoyment of the whole. The night concluded as it should: Mehldau being Mehldau. “Always Returning” featured extended unaccompanied Mehldau, stretching out beyond what is heard on the CD. As Mehldau typically does on his ballad features, he creates tension and does not rush to resolution. Here, it made the ending all the more satisfying. I briefly chatted with Brad after his 2009 visit to the Dakota. The trio was headed to the Village Vanguard later that week and I asked if they were recording. He said they weren’t, but he told me about the Highway Rider project. I vividly recall him being unusually excited, at least by his mild-mannered, self-conscious standards. I suppose I would have enjoyed another live trio album and I was skeptical of a jazz with strings album, but I’m fairly confident that Mehldau made the record he wanted to make. As the Walker Art Center audience can attest, that’s a good thing. Wow Pamela, great post on 'highway rider'. 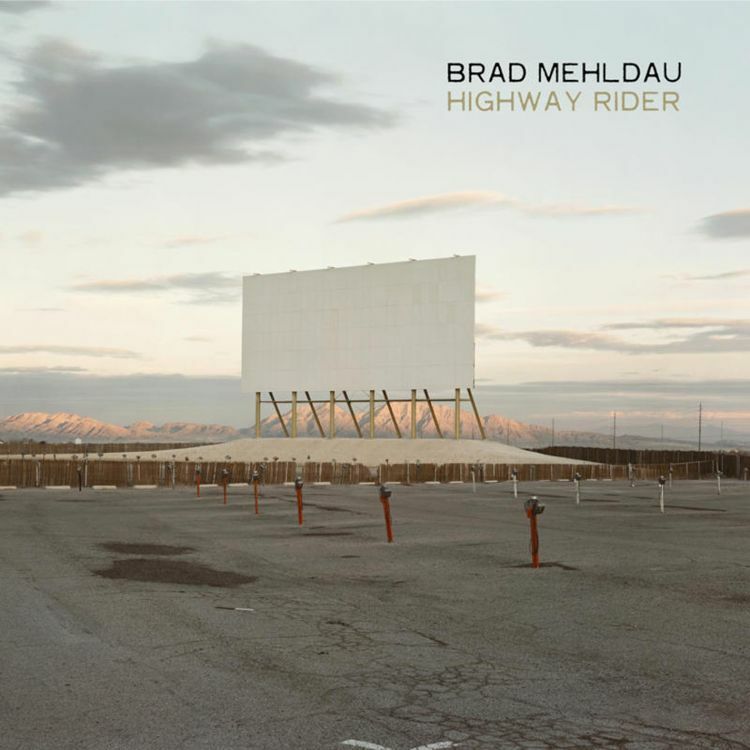 I too am a big Brad Mehldau fan. I went to see the european premiere of 'highway rider' last night at the Barbican centre, London. Do have a look at my post on my blog if you get a chance. There's a lot of other Brad stuff on there too! Love the photos by the way! You got an encore--lucky! The photos got me in trouble. Please note that this post was not written by me, but by John Scherrer, who knows much more about Brad than I do. Thanks for reading and writing.